My name is Elisha and I love to read, write, sing, dance, play the piano and and the guitar, and I love to draw and paint! I love God and I love being homeschooled. I was born in San Diego, California in 2002 and lived in Florida with my sister, Elyssa, and my single mom, Elayna, for 7 years. She has taught me that we CAN go from “once upon a time” to “happily ever after.” She is an awesome example of that! (Even if she doesn’t give herself credit!). We now live in Texas and she re-married my new dad and we they had our new baby sister! She now teaches other moms to go from “always juggling” to “always joyful” and teaches them about finding their passion and starting a business. My mom has always brought us to her trainings, so I have learned all about business and social media. Soon enough, I caught myself thinking: “I never knew businesses were so much fun! Not fair only adults can have them!” then my thoughts backfired with “Well, maybe I can!” Light-bulb! I believe that my art is complete, or whole, and has true meaning! At WhollyART, we teach children positive principles through art.That thought started what is now WhollyART! I have a strong passion for art, which is why I have taken many private art lessons (with professionals) and exhibited my art in galleries. I have even won prizes at homeschooling fairs! I love to paint because it brings me inspiration and peace. 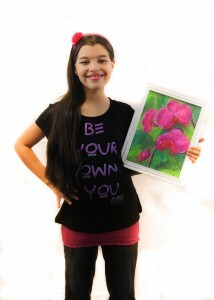 My desire is to grow up and become an artist and exhibit my paintings in important and famous galleries and museums. Our first book together is based on one of these principles, Self-Worth. I Love ME! 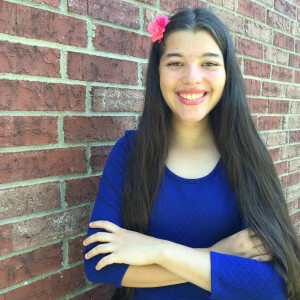 Self-esteem in 7 Easy Steps teaches kids and tweens to love themselves and have confidence!